As the economy of any single nation fluctuates, so may business growth. Diversifying revenue streams across nations can stabilize and grow business. Depending on the industry, product, and abilities of a company, a company may find it particularly cost-effective to seek business beyond its home country. This document covers every benefit gained in partnering with a language service provider (LSP) to grow business. All benefits will be described in terms of market share and costs. Gaining market share of a product or service requires an increase in quantity sold and/or price. Increasing quantity sold comes in the form of selling to new customers – either those new to the market or those who previously bought from a competitor. Within the current target market, market share can be gained by selling to the same general target audience, but in a new language. Selling to the same general target audience in a new country can be more involving. The diagram below samples what might be impacted with the introduction of selling a product in a new market. For the purpose of this document, products have been broadly simplified as either being physical or virtual products. The examples presented above matter more or less depending on industry, product and the capabilities of the company. In manufacturing, importation and regulation documents often times must be translated before gaining market authorization. Some LSPs even offer auxiliary services such as regulatory formatting like MSDS authoring. Software, apps and websites are excellent examples of virtual products. Obstacles facing physical products are largely negated when dealing with virtual products because of their comparative simplicity in design (no complex materials, machine tool, or moving parts) and convenience of distribution (downloading). Gaining market share comes down to customer-perceived benefits and switching costs. Perceived benefits can be articulated at both the product level and company level. At the product level, a perceived benefit includes translation of the product itself (a website, for example) and related user experience components (button, measurement and warning labels, etc. 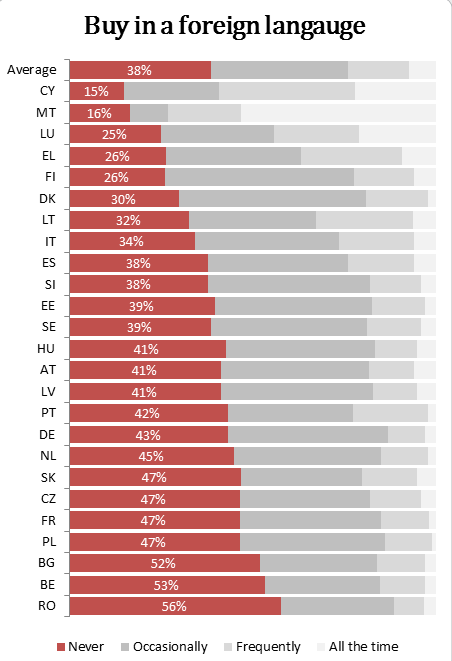 ), because it would expose the product to 38% of European Union web users (not including UK and Ireland) that buy online. In Brazil, China (PRC), France, Germany, Japan, Russia, Spain, and Turkey, 52.4% buy only at websites where the information is presented in their own local language. 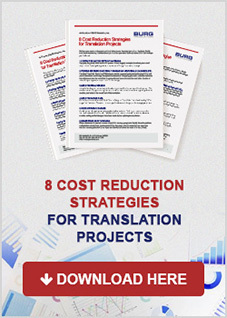 Translation of product material one of the most cost-effective ways of gaining market share. 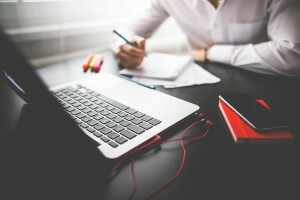 At the company level, perceived benefits generally include reputation, any post-purchase and auxiliary support services, and consistency in product availability, quality and reliability. Using software as an example, a key source of value that clients of software companies perceive is technical support. The ability to deliver high quality technical support can be a major unique selling point in any market. Having an LSP offer back-end support on translation of technical support tickets is a cost-effective way of overcoming any language barrier without introducing any additional fixed costs or reducing the support team’s capacity to process support tickets. The technology and capacity required to offer this service is not typical in the translation industry. If competitors already offer multilingual technical support, then also offering this service improves competitiveness. If, however, competitors have not yet provided this service, offering it is considered a unique selling point. Moreover, first-mover advantages can be claimed. Having gained market share through customer-perceived benefits, market share can be maintained through intellectual property protection submissions, if applicable. These documents must typically be translated and tend to be handled by a specialist law firm, who will in-turn forward the documents to a specialist LSP. It is recommended that the law firm be told to use an already preferred LSP to maximize translation volume discount. Increasing a product’s price point is typically justified by increasing the customer-perceived benefit. Directly increasing the benefit of a product typically takes place in the research & development stage of product development. As an example, in the Life Sciences industry, academic publications are a major source of inspiration for creating and improving products such as drugs, and medical devices. However, by one count, only 80% of academic research publications are in English. Moreover, in life, physical and health sciences, only 19.5 to 44.7% of published articles are in English. With time, as developing countries strengthen their research capabilities, these statistics are likely to decline further. In fact, the countries producing the highest growth rates in publications are Iran and China. Production of non-English research publications leads to lack of access of potentially critical information to English-only speaking research and development teams. The same principle applies to any auxiliary products and services offered by the company. Without this information, enhanced product development may be stifled and less competitive in new markets. 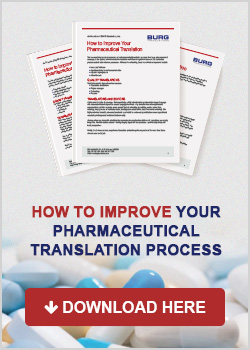 If, however, the competition does not already offer higher customer-perceived benefits, both the translation of research material as well as the translation of support-related documents can still justify an increased price point. In fact, 56.2% of respondents felt that having information in their own language was more important than a low price. The role of an LSP is to provide access to the publications originating in other languages relevant to the research and development department of a company as well as allow support services to be delivered in new markets. Translation of highly academic and technical documention requires a specialist LSP. 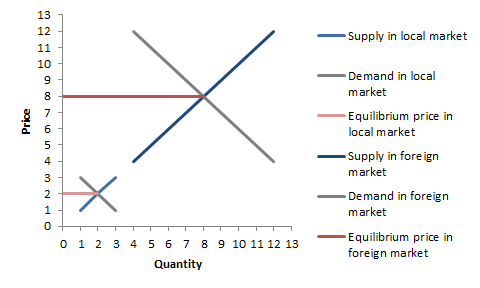 In some cases, entering a new market justifies a higher price point due to the relatively higher demand and lower supply or because the average competing products are already at higher prices. This practice is known as two-tiered pricing and is practiced in a number of industries. Whether or not a management team believes translation of research material leads to an enhanced product or translation of product material justifies a higher price point, the image of the company and product brand are enhanced by the perceived global presence. 50.8% of online consumers would buy a global brand over a local one, even without translated information. All costs can be classified as fixed or variable. Both types of costs are included when calculating per product profit, but recognizing which are fixed and which are variable help a management team target where to reduce costs. Fixed costs are those that do not change with the number of products produced. For example, any costs related to people, such as salary, or a plant, such as electricity and machinery are fixed costs. Variable costs are those that do not get incurred unless a product is made. Ideally, all costs of a business would be variable so that no costs would be incurred unless a product was made (and hopefully sold at a profit). Reducing the percent of costs that are fixed would put a company in this direction. The most common way of reducing fixed costs is by increasing the number of units sold and since the byproduct of successfully expanding to new markets leads to an increase in units sold, the proportion of fixed costs per product declines. Partner with an LSP that understands your business. BURG Translations has been in business for nearly 80 years, allowing us to develop deep specializations in a number or industries.